Would you like to switch from Contact Form 7 to WPForms? Our form importer tool makes it easy to move your current forms into WPForms so there’s no need to rebuild them from scratch. 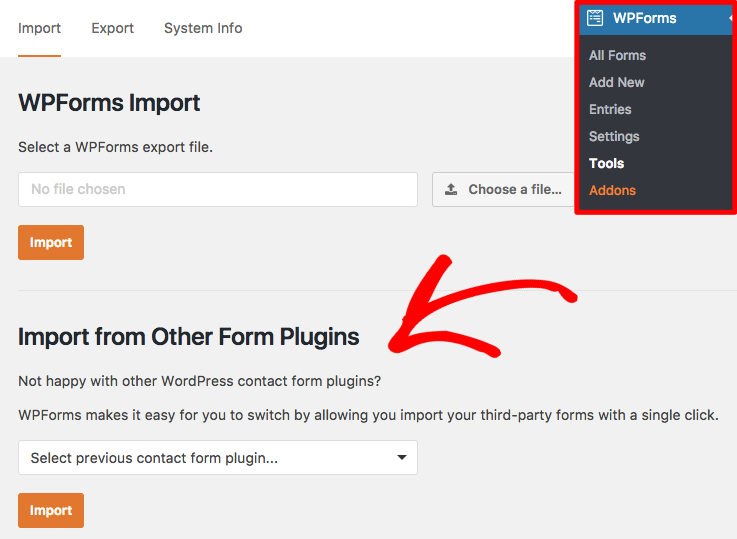 In this tutorial, we’ll discuss how to import forms from the Contact Form 7 plugin to WPForms. To access our form importer tool, you’ll need to go to WPForms » Tools. Here, you’ll see a section titled Import from Other Form Plugins. In the dropdown, you can select Contact Form 7 as the source of your existing forms. Then, go ahead and click the Import button. 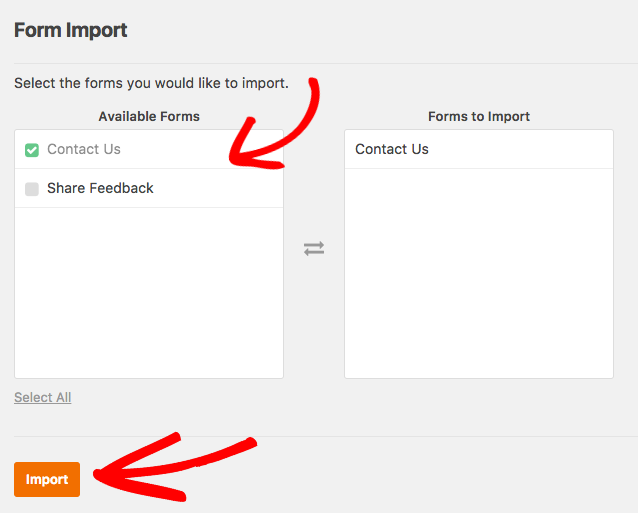 Next, you’ll be able to choose which specific forms you’d like to import from the Available Forms column. Once selected, these forms will display in the Forms to Import column. To make the import as smooth as possible, the importer tool will let you know if any fields weren’t able to be imported due to compatibility issues. The WPForms importer tool will also import notification email and confirmation settings from your existing forms. To learn more about the options available for these settings in WPForms, be sure to check out our tutorials on setting up notification emails and choosing confirmation settings. Please always review and test your imported forms to be sure everything is set before using on a live page or post. That’s it! 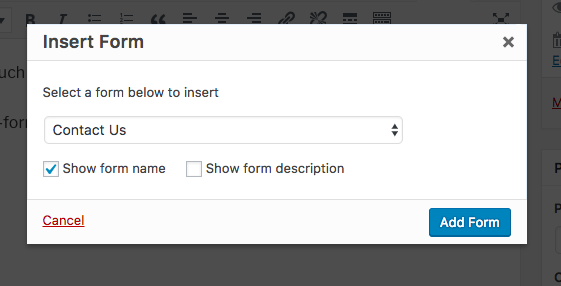 You’re now able to quickly bring in your forms from Contact Form 7 to WPForms. 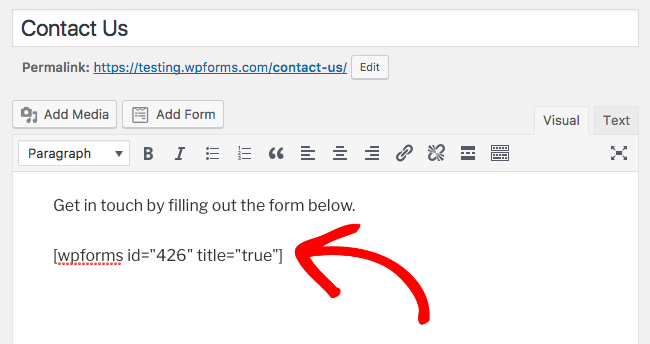 Next, would you like to find out how form entries work in WPForms? Our guide to form entries discusses the many features WPForms offers for entry management.